As surgeons address foregut disease in their patients with different procedures, a review of relevant anatomy and physiology of the esophagus and LES will complement discussion with their patients and decision-making. 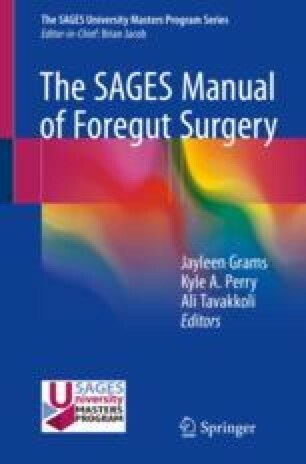 As will be apparent in this chapter, the esophagus is more than a conduit that directs liquids and food to other organs, deters reflux, and serves as a passageway for radiographic contrast or endoscopes to define more distant foregut disease/disorders. Instead, the esophagus is a very complex organ whose function is directed by CNS and intrinsic esophageal control that is implemented by skeletal and smooth muscle. Scazzuso FA, Rivera SH, Albina G, de la Paz Ricapito M, Gomez LA, Sanmartino V, Kamlofsky M, Laino R, Giniger A. Three-dimensional esophagus reconstruction and monitoring during ablation of atrial fibrillation: combination of two imaging techniques. Int J Cardiol. 2013;168(3):2364–8. https://doi.org/10.1016/j.ijcard.2013.01.026. Mashimo HMD, Goyal RK. Physiology of esophageal motility. 2006;2017. www.GIMotilityonline.com.